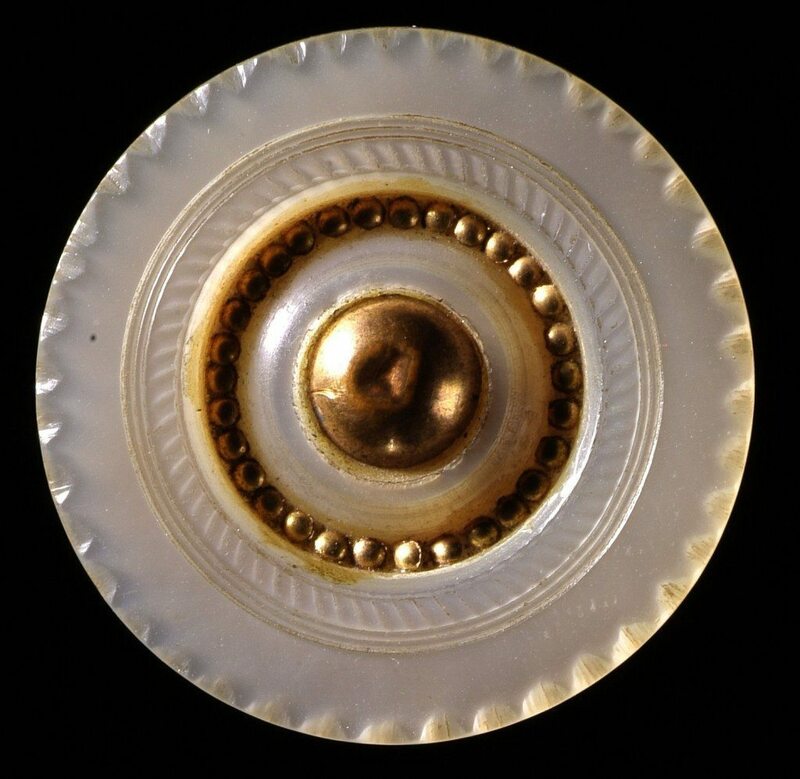 A mother-of-pearl button, manufactured c 1795. This button is set with a central faceted mirror-glass stone, and an outer ring of small pink stones. It has a drilled brass swaged-in shank.